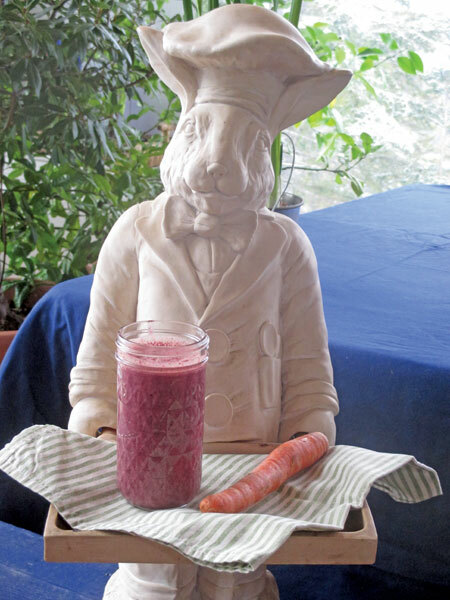 Wild Blueberry, Strawberry & Carrot Great source of fiber and nutrients! Tastes like candy! Add ingredients to the bowl of your blender. Chef Cheryl’s notes: Every spring, wild rabbits nibble away at the first tender shoots of plants in the gardens here at Rabbit Hill. Fronds of baby carrots, new leaves on the strawberry plants, crocuses, radish shoots; nothing green escapes them. 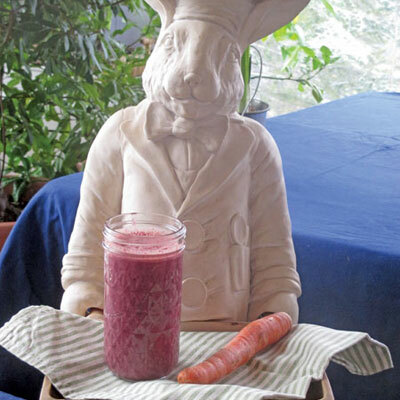 This smoothie is dedicated to all foragers, including rabbits!